Last month I travelled upstate New York to shoot a proposal at the Tarrytown House and Estate. What a gorgeous location! I met an excited David, and we chose the perfect spot for him to propose to his lady. I decided I would wander around and try to look like a tourist so she wouldn't suspect anything..
She said, "Yes!" And then promptly asked why I was taking so many pictures (I think she thought I worked for the Estate) :) We explained, and then wandered around the grounds taking more photos! I love doing engagement shoots. This one was particularly special because it took place in my neighborhood! Michael and Melody met on the platform of the 168th St subway stop. And the rest.. is history :) We had a great time capturing these shots.. enjoy! Over the holidays I was asked to capture a very special proposal. 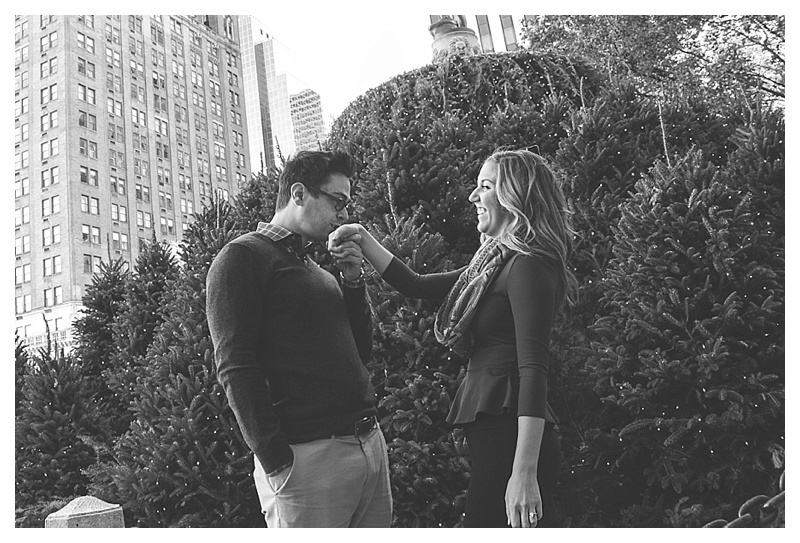 Levi picked out a beautiful spot by Rockefeller Center and asked his lady to marry him. Despite the crazy crowds we found a private spot to celebrate the moment and these two added an unforgettable moment to their New York trip! This winter I had the honor of capturing a very special proposal on the High Line. 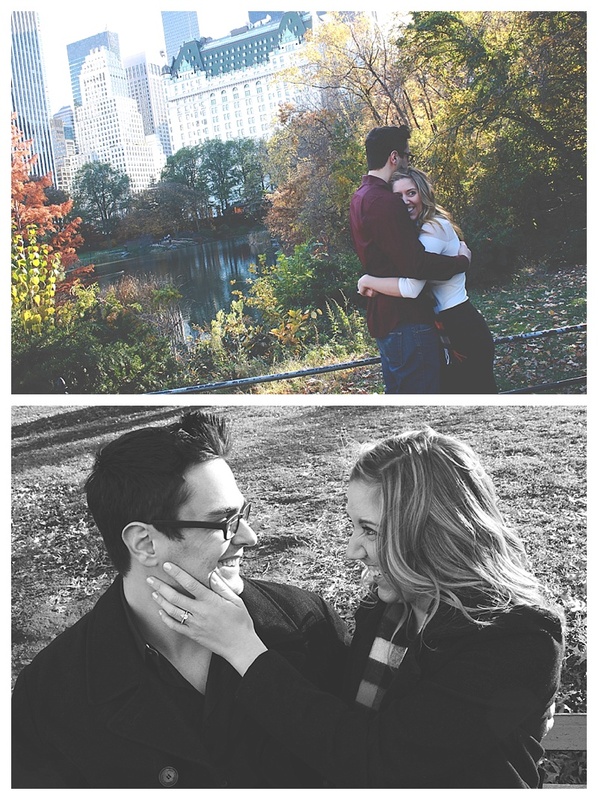 Michael and Christina are an adorable New York couple and I could not be more thrilled for them! I wish them the best in their life together! This lovely couple came to New York around the holidays and had planned a shoot at the Bryant Park skating rink. Years ago they met while ice skating in their hometown and this was a nice way to celebrate (and document) their 6th anniversary as a couple! Then, just before skating time, Derek surprised Adrianne (and me!) by getting down on one knee and asking her to be his wife. It was a beautiful, heartfelt moment and I'm so glad I was there to capture it! Long-time couple John & Meghan recently got engaged and took advantage of the beautiful fall foliage for an engagement shoot! Congrats you two! Have fun planning the wedding! I met this lovely couple in Central Park for an intimate ceremony. It was a beautiful day to celebrate love! Congratulations, ladies! Wishing you a wonderful life together! 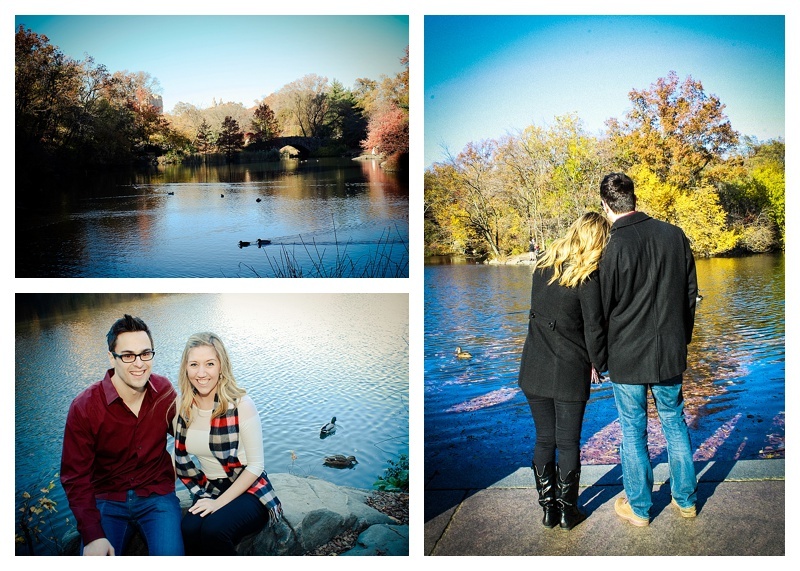 I've been having a blast shooting engagement sessions lately and I was thrilled to work with Victoria & Steve on their Central Park shoot. A lovely couple, a beautiful day, and lots of love! Wishing you a wonderful life together!